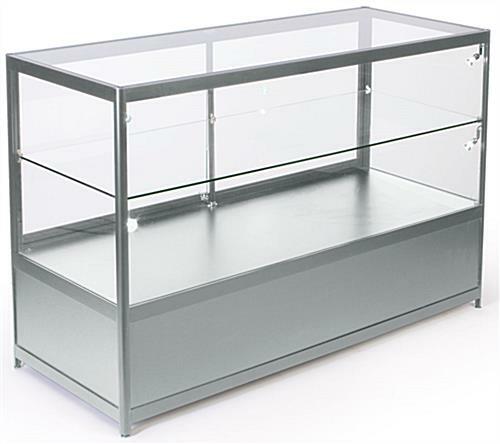 This silver retail case with aluminum base has room for overflow merchandise to be stored in the bottom. 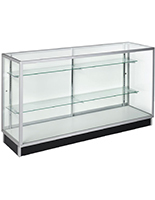 These 58" wide counters with adjustable shelves feature a push lock system that keeps contents safe from damage and theft. 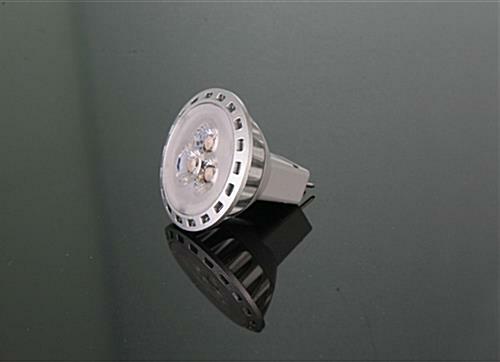 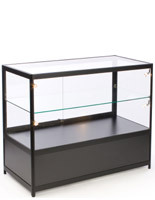 This retail case with aluminum base has LED lighting and commercial-grade tempered glass. 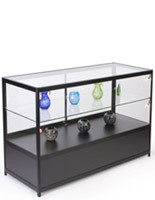 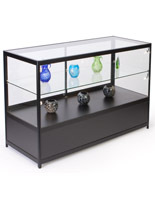 These showcases are cabinets that are suitable for museums and jewelry showrooms, eye glasses shops, even cell phone stores. 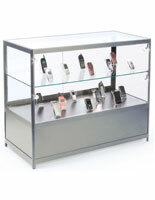 This case with aluminum base provides customers with an unobstructive view of the merchandise - managers can gain access via the sliding glass door and their key . 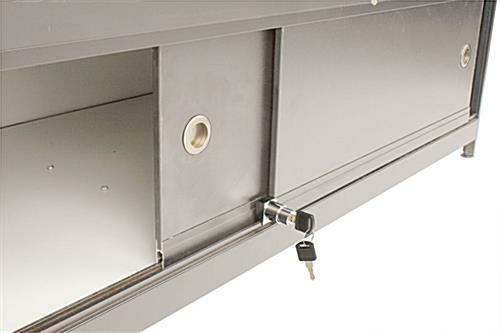 Cabinets can be loaded and re-stocked easily with the convenient storage compartment. 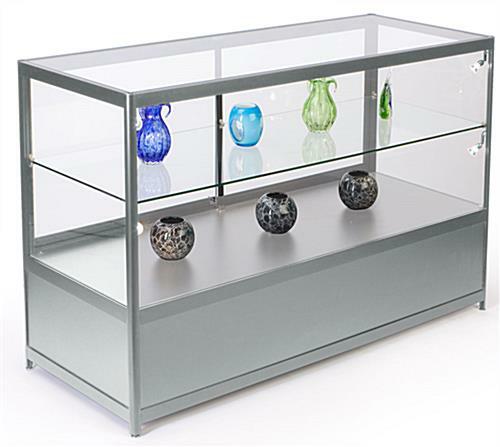 Buy this cabinetry in anodized aluminum as a standalone fixture, or along with compatible cases for a seamless retail store configuration. 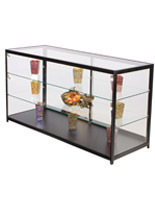 59.0" x 23.4" x 22.0"